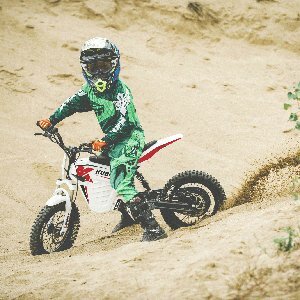 Kuberg Dirt Bike Guide - Are These Hi-End Electric Bikes For Kids Really So Good? Kuberg engineers impressive quality bikes for kids of all ages and skill levels, ranging from beginner to professional riders. This company originated from the Czech Republic set out to achieve the highest level of performance with their Kuberg electric dirt bike models. Dirt bike enthusiasts will love experiencing the new thrill and freedom of riding their Kuberg dirt bike. When comparing the Kuberg brand to others, the simplest way is to say they’re like the Tesla of dirt bikes for kids, a solid step above the well-known, high quality Razor dirt bikes when it comes to performance, durability and technology. 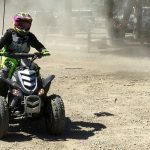 Kids Ride Wild, will guide you to find the best choice for your child’s age range by introducing the top Kuberg dirt bikes for ages 3-5, 5-10, 6-12 as well as teenagers and adult models. To help you make the most informed decision, we will also dive into the benefits of kids dirt bikes and some frequently asked questions about Kuberg bikes. 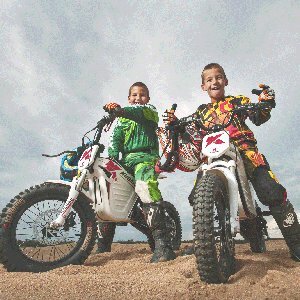 If you are in search of an entry level Kuberg dirt bike for your small child, the Kuberg Start is perfect for kids ages 3 to 5. This model is low to the ground with a 15 to 17 inch adjustable seat heat and 12 inch tires. Little kids can learn how to balance on the durable powder-coated steel frame as they speed up to 15 miles per hour. Your child’s safety will always be important with features including a top speed setting, acceleration options and a kill switch to automatically turn off the motor if your child happens to fall off. There are also responsive front and rear brakes that kids can control by squeezing the handles. Your little one may still be learning the ropes but they will still have plenty of power with the 24 volt 1,000 watt electric motor. This model is surprisingly quiet so riders can enjoy the outdoors without the annoyance of a gas-powered motor. It is also lightweight for simple maneuvering weighing at only 46 pounds. The battery and chain are fully covered so you won’t have to worry about your little one getting snagged or messing with the battery. Parents can use the smartphone app to connect to the bike with built-in WiFi and adjust the settings based on their child’s skill set. This model is an excellent introduction to dirt bike riding for any off-road environment. >> Check out Kuberg Start on Amazon right here. Kuberg took their best selling childrens’ bike Trial E bike and packed it with new features to release the improved Kuberg Trial Hero edition. They added the signature Wi-Fi technology that allows setting parental controls using the Kuberg Volt app. The Hero model also has an upgraded air suspension to provide a more stable riding experience for young children. The high-tech components of the Trial E Hero electric motorcycle allows kids to monitor their riding statistics and display information in real time. This model is ideal for kids ages 5 to 10 years old as it travels up to 17 miles per hour with a 20.5 inch seat height. 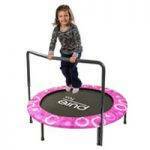 This model will hold up to 220 pounds with its 72 pound power coated steel frame. To ensure your child has a safe riding experience, this Kuberg electric motorcycle is equipped with a wristband that engages a kill switch to disable the motor when pulled out. Another helpful feature for young riders is 3 power settings that allow the acceleration and top speed to be limited based on your little one’s skill level. The motor delivers 3,000 watts of power for a 2 hour riding time full of excitement. The braking system is highly responsive with hydraulic disc brakes that make it easy to control the speed of the dirt bike on any terrain. Kuberg took the feedback from their popular Trail E bike and engineered the ground-breaking Trail E Hero dirt bike to take your child’s riding experience to the maximum level. >> Check out Kuberg Trial E Hero on Amazon right here. The Kuberg Cross X-Force Pro 50 model has all of the features of the previous Cross, along with significant enhancements such as Wi-Fi connectivity and the Kuberg smartphone app that displays bike statistics in real time. With an upgraded power-to-weight ratio, the Pro 50 model provides superior performance for riders to surge ahead of the competition. The older model, the Kuberg Cross Electric MX bike is still available on Amazon today in both black and white options for riders looking for a more affordable, yet still high-end option. These (the old one and the new one) are both durable and highly responsive bikes that will provide a noiseless riding experience for kids to speed through sand, mud, dirt or gravel. Whether you decide on the X-Force Pro 50 or the previous Cross Electric MX bike, your child will get to experience the safe and rugged fun of Kuberg motorcycles. The Kuberg Cross X-Force Pro 50 gives riders the opportunity to develop polished riding habits and prepare for a professional future with an advanced foot braking system. Not only is this model an excellent choice for ages 6 to 12, but it is crafted to stand ahead of 50cc gas bikes with its brushless electric motor. When it needs to be recharged after one hour of riding time, simply pop out the Lithium ion battery and hook in a new one to keep riding. Kids will be able to perfect their handling skills with a fully adjustable front and rear suspension system that provides enhanced stability. It even has professional-grade tires to grip through rugged terrains. >> Check out Kuberg Cross X-FORCE Pro 50 on Amazon right here. For the professional riders, the Kuberg Freerider Electric Dirt Bike travels to a top speed of 34 miles per hour with a 48 volt motor that delivers instant acceleration. Riders will have one full hour of riding time with the 22.2 Ah lithium-ion battery and it takes less than 3 hours to recharge. It will take dirt bike riders to new heights of extreme riding without worrying about oil, gas or exhaust systems. With powerful torque and a rugged suspension system, this model is great for teenagers and young adults. It gives riders the option of adjusting the height, power level and wheel base to provide a precise riding experience. What truly sets it apart from other electric dirt bikes is the Kuberg Volt App that pairs with your smartphone to provide a comprehensive toolkit full of settings and statistics. With zero maintenance and hi-tech components, this dirt bike is truly in a league of its own. The futuristic, Darth Vader like design incorporates a powder coated steel frame, long travel suspension and 20 inch all terrain tires to dominate virtually any terrain. For extreme jumps and steep inclines, the industry leading shock absorption softens your landing with phenomenal stability. Weighing at 79 pounds, the Freerider offers easy handling and agile turning for advanced level riders to embrace the freedom and responsiveness. This Kuberg electric bike features large, 203mm disc brakes that provide advanced braking technology comparable to professional racing bikes. This model is ideal for off road and freestyle riding, anywhere from the dirt roads to rocky terrains. >> Check out Kuberg FreeRider Electric Dirt Bike on Amazon right here. 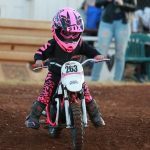 At any age of childhood, there are numerous benefits associated with riding an electric dirt bike. Kids will explore their sense of independence while building confidence as they refine their riding skills. Younger children can focus on perfecting their vital motor skills and learn to how to balance. More advanced riders feel more like the motocross professionals as they take their skills to a new level. Your child will get to enjoy outdoor sports while working on developing coordination that will be used throughout their adult life. The most important priority should always be your child’s safety, so it is critical to invest in the proper protective equipment. To cover your little one’s precious head, a high quality helmet and eye protection should be worn prior to operating the dirt bike. Additionally, kids should wear padded protection including knee, wrist and elbow pads. It is also recommended to wear the clothing that covers their full body made of tear resistant material such as leather or Kevlar. The final piece of safety gear is a pair of thick gloves to provide a firm grip on the handlebars. Another safety rule that children must follow is to never carry any passengers, as Kuberg motorcycles are only designed for one rider. Breaking this rule can result in damage to the bike as well as injuries to the passengers. 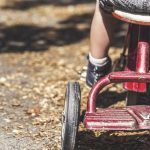 You certainly wouldn’t want your little one to get hurt by allowing a friend to hop on the handlebars or even on the back of the dirt bike. Finally, make sure your little one is cautious when riding under wet or cold conditions as they can impact the performance and battery life of the bike. A rule of thumb for all riders should be to allow more distance and time to stop when riding in wet conditions. Cold weather can have negative effects on the maximum charge and power of the battery which is important to keep in mind when your child is riding in the winter time. It is also important for your children to obey all laws and ride the bike only for off-road riding in designated areas, not for street use. Make sure you look into all of the local, state and federal laws on use of the motorcycle before allowing your child to ride. 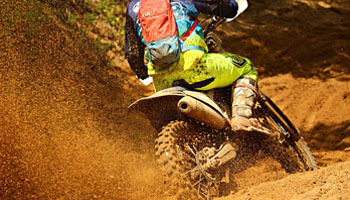 The area that you live in will also dictate whether electric dirt bikes require registration. The best way to find this information is by checking the local websites for motor vehicles or visiting the nearest DMV office. Kuberg stands behind the quality of their motorcycle models with 90-day manufacturer coverage. This will protect the dirt bike against any potential defects in workmanship or materials. Do not disassemble or tamper with the electrical components of the bike as this will automatically void the warranty. Another situation that would affect your warranty coverage would be improper use or lack of maintenance. Regardless of where you purchased the motorcycle, any authorized Kuberg dealer will be able to assist with warranty repairs. Kuberg Bikes for Sale – Where to Buy? The main options for purchasing a new Kuberg for sale is to find a local dealer or buying online through Amazon. You can visit the Kuberg website here to locate a dealer in your area if you prefer to look at the models in person. Our recommendation is to purchase on Amazon because you will often be able to get the dirt bike home faster, without having to worry about traveling or hassling with the dealership. Another benefit of using Amazon is that free shipping is often available and if there is anything wrong with the bike, it is extremely easy to contact their customer service to handle the return. If you want to have access to choose from all of the different models along with an easy buying process, we think the Amazon is certainly the way to go. 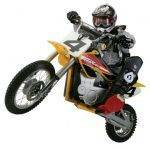 Kuberg electric dirt bike models are excellent for motorcycle enthusiasts in any age range. With state-of-the-art technology and unparalleled performance, young riders will experience the quality and reliability of Kuberg brand. 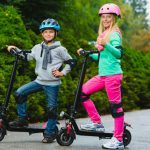 If you want your child to be safe while developing their riding skills, these bikes have the ultimate level of customization. As the ‘Tesla’ of kids’ motorcycles, Kuberg dirt bikes are not only environmentally friendly but full of massive power and excitement!